It’s hard to believe that summer has come and gone, and that it’s already September. 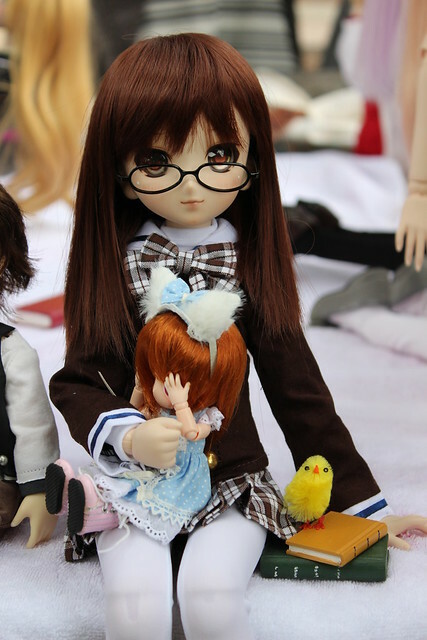 This past Saturday some of the Dollfie Dream owners in Toronto got together for our monthly meetup, and this time we had a special guest – Mahoro was visiting from Edmonton, Canada! 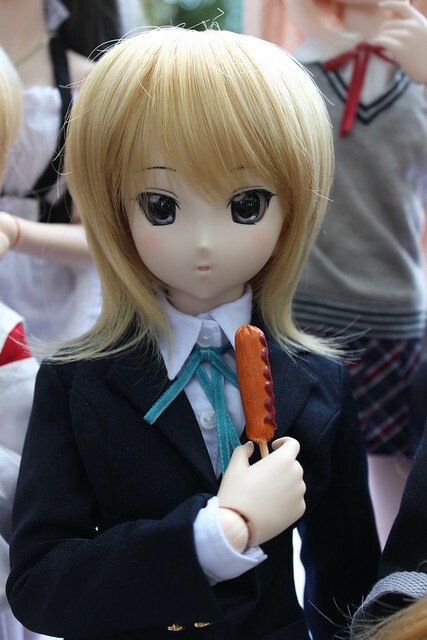 I’d previously met Mahoro in Tokyo back in May at Danny Choo’s Culture Japan Night, but Mahoro was bemoaning the fact that there are no other DD owners in Edmonton for him to hang out with. 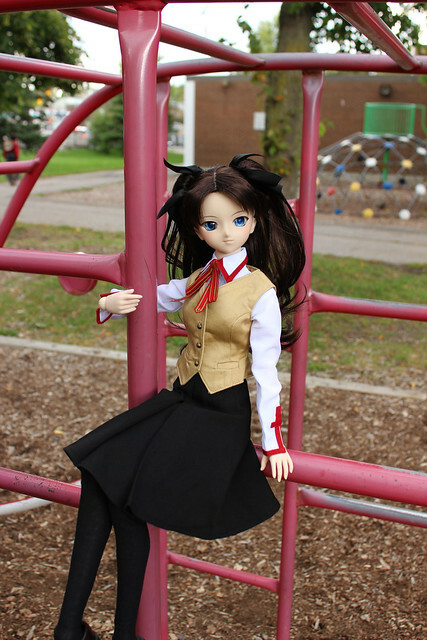 [So, if you’re a Dollfie Dream owner from Edmonton reading this – say hi!] Well, that just made me sad, so our community arranged to have a meetup while he was in town! Front row: tanu-chan’s Kairi, nkei’s Mai, PlasticFantastic’s Mio, juu-yuki’s Airi (DD Rina), PlasticFantastic’s Yoko, Mahoro’s Haruka, MrCool0236’s Harumi, AgentPanda’s Penny and Machiko’s Sora. Our theme this month was “Back to School” so there were lots of cute schoolgirl uniforms about! This meetup was a bit different from our others because Mahoro suggested we try to take some photos in a school yard. Since it’s getting cooler now, I didn’t think it would be as nice to sit around in a school yard for several hours – and there was always the odd chance of being asked to leave by weekend staff @__@” We decided to meet downtown in Chinatown at the One Hour Cafeteria for some light snacks and to hang out a bit. We managed to squeeze all 14 of us around one big table! 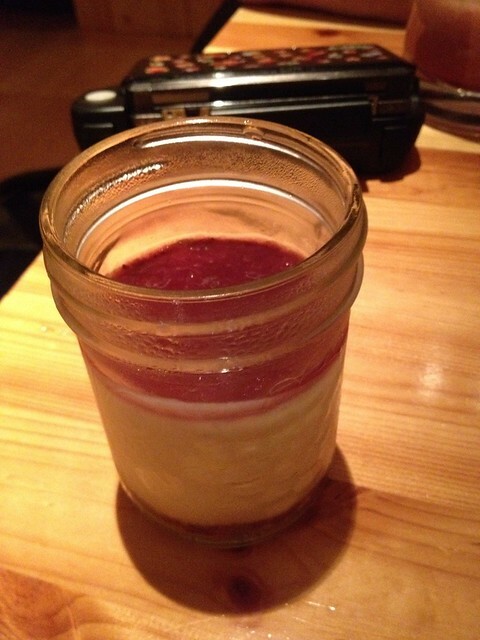 Cheesecake in a Jar! 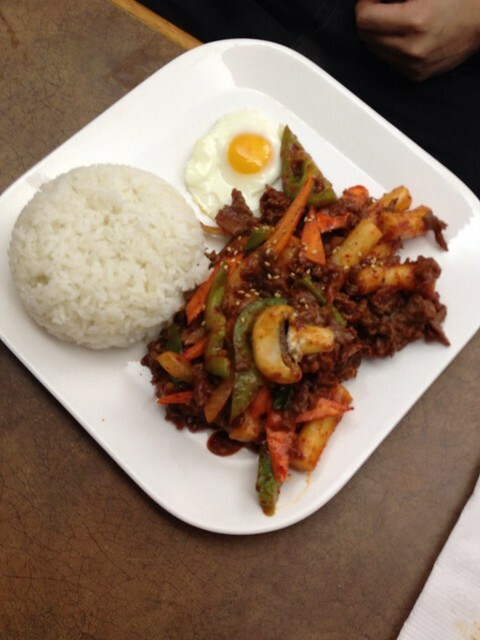 So tasty! 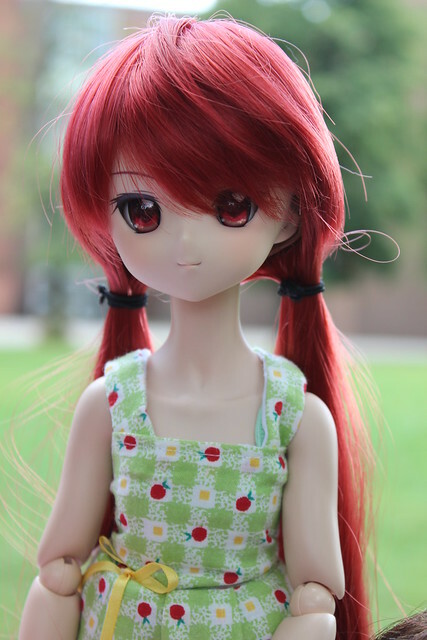 Once everyone arrived, PlasticFantastic opened up her newest Dollfie Dream – Mio! PF is a big K-ON fan and has wanted to add a Mio to her doll family for a while, and I helped bring her from her previous owner over to Toronto. 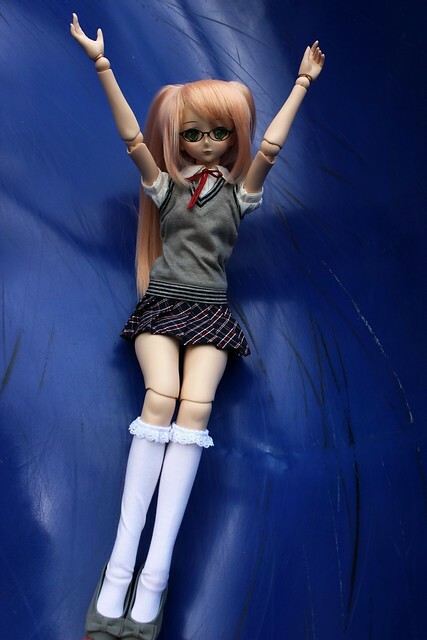 MrCool0236 brought his silicone doll Harumi and it was very interesting getting to handle the silicone body. MrCool0236 let me play around with her a bit and help dress her up. I have so much to say about Harumi that I’ll make a whole separate blog post about her at a later date! Since our theme was “Back to School” it made sense to go to a school! We walked down to the nearby Ryerson Public School and unpacked our dolls. A big group of Dollfies usually attracts lots of attention, but even though we were right off of a busy street, we didn’t have many too people come by. 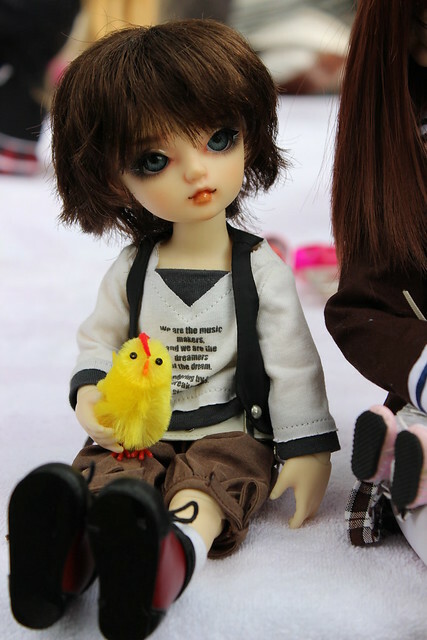 Sora looks really cute in this casual outfit. He’s a Volks yo-SD Kakeru with custom faceup and a new pair of blue eyes. AgentPanda’s little Penny is so studious she even brought her books with her! Penny, it’s Saturday! 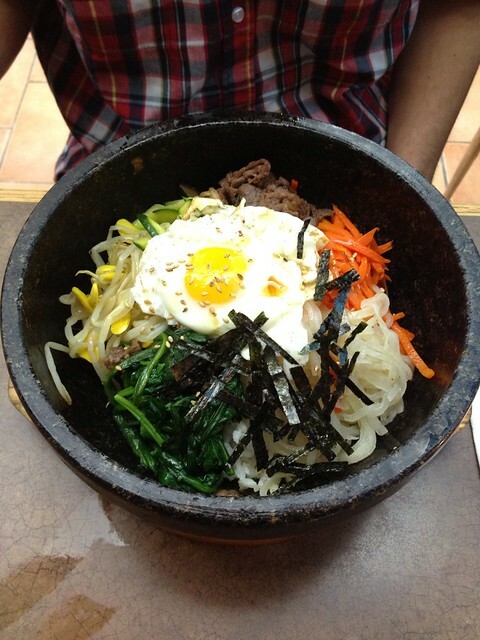 Sometimes it’s alright to take a day off from studying! 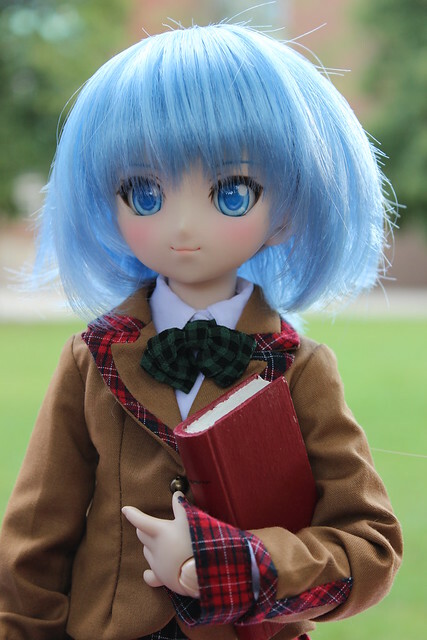 It must be an MDD trait to be studious because PlasticFantastic’s Cirno can’t put her textbook down either! 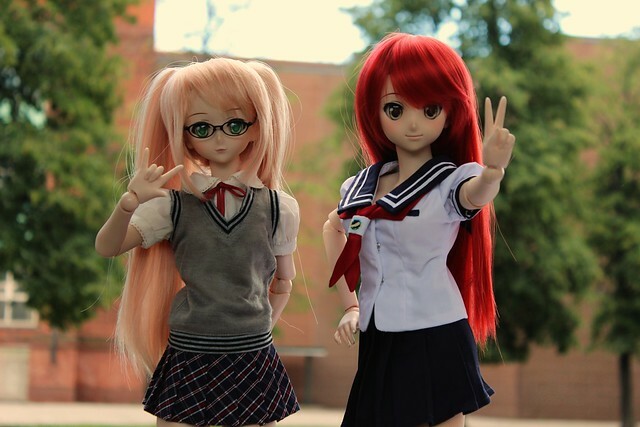 PlasticFantastic’s Yoko, MrCool0236’s Harumi and Mahoro’s Haruka are so adorable in their sailor schoolgirl uniforms! nkei’s Setsuko looks very lovely in this maid outfit, and her Mai is very fetching in this hakama. 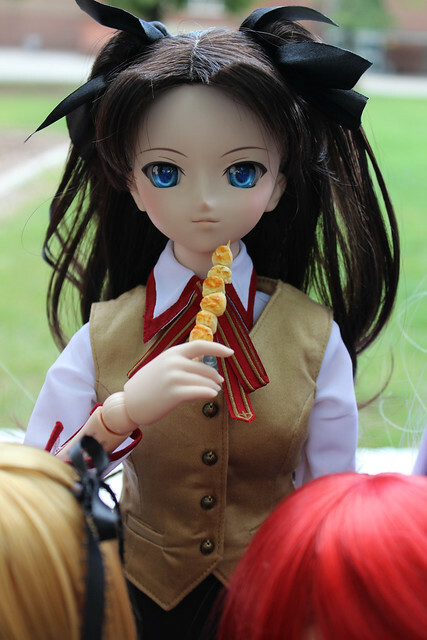 Rin had the munchies so she found something yummy on a stick. 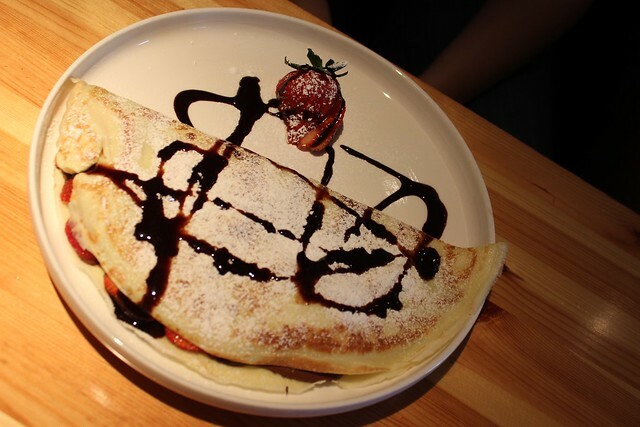 Since Mio is perpetually hungry, once she saw Rin with a snack, she had to have something to eat too! Then most of us went off into small groups to take photos in the schoolyard and playground. Gabi, Mio and Odette are the Detective Trio! Is there a mystery for them to solve? Juu-yuki’s Airi and Mahoro’s Haruka were good music students and went off to practice a bit, but quite soon got distracted. Airi was quite amused by Machiko’s little yellow birds. It seems the birds took to Haruka too! My little Gabrielle went off on her own in the playground and had some fun! She invited her senpai Odette-san to come play with her. Gabi and Rin like school a lot, but recess is still the best part because you get to hang out with your friends! Here’s Gabi with PlasticFantastic’s Yoko. 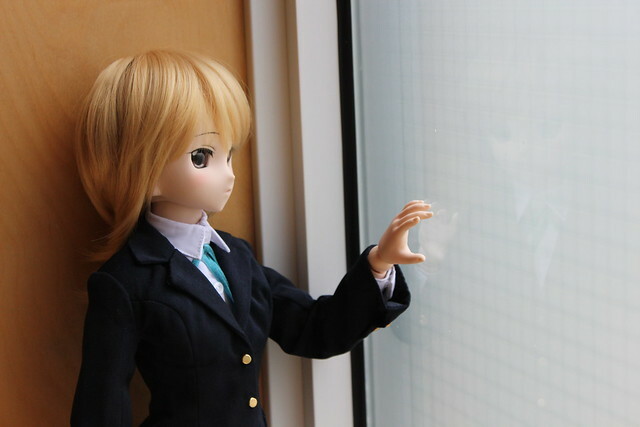 Mahoro’s Haruka is telling Yoko all about what life is like in Edmonton. 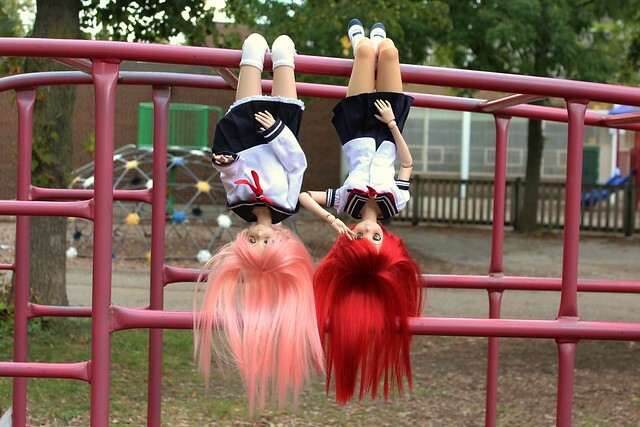 Harumi and Yoko were being monkeys on the monkey-bars! 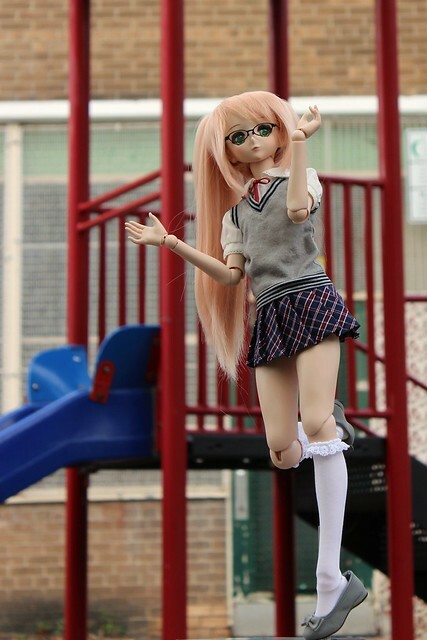 Rin had some fun on the monkey bars too. Mai was also showing off her balancing skills – look at those killer heels! Di-chan123 couldn’t make it because she wasn’t feeling well, but Shana got to come in her stead. I hope you’re feeling better Di-chan! 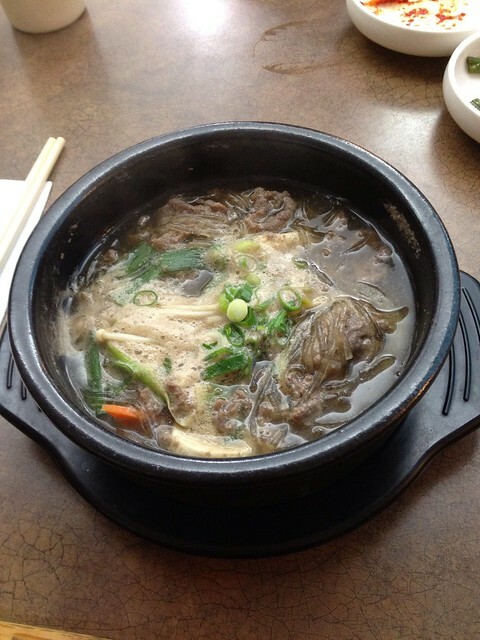 My Hotpot #3 – I always forget what it’s called but it’s my favourite dish here. 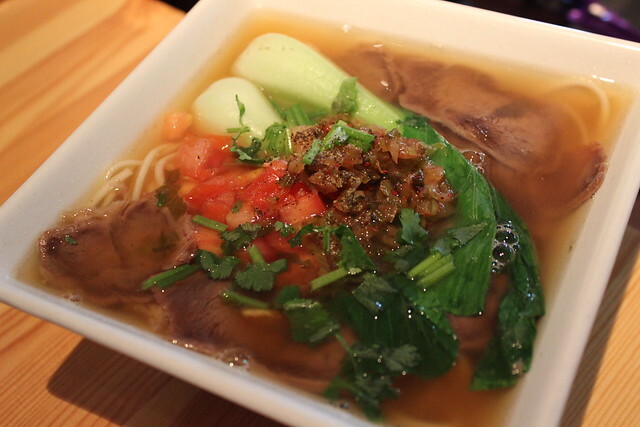 It’s beef, glass noodles and veggies in a really delicious broth. 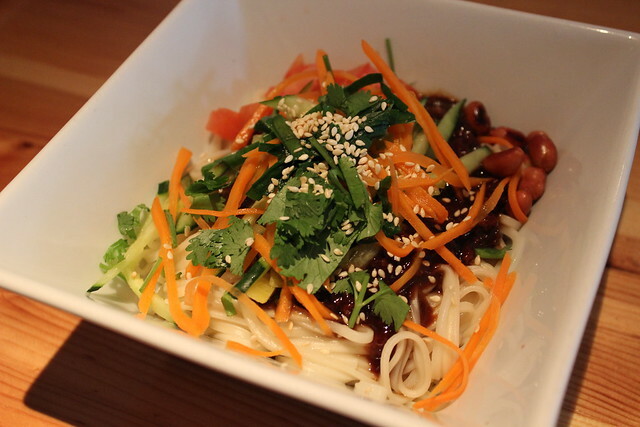 It’s one of the few “safe” things I can have because it’s not spicy. I wasn’t sure what to expect from today’s meet since we were on the move so much – we usually meet and hang out in one spot. If we had gotten kicked off the school grounds it would have been very disappointing, but my crazy plan actually worked out quite splendidly! It was really great to be able to spend a nice, relaxing day with new and old friends and it was awesome having Mahoro visit us too! 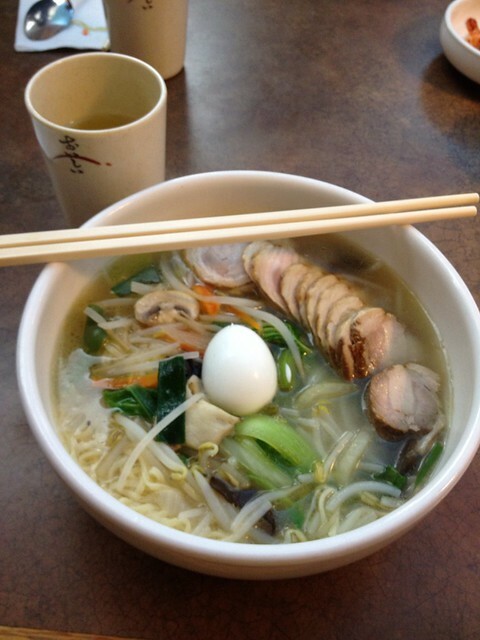 I hope you come back to see us again soon! 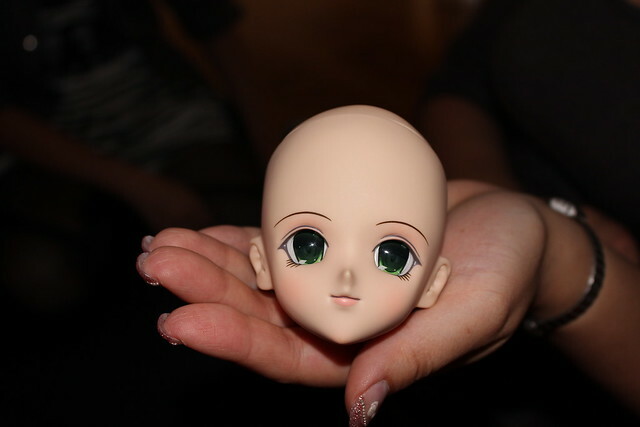 Misskale’s DD Mirai head is visiting. 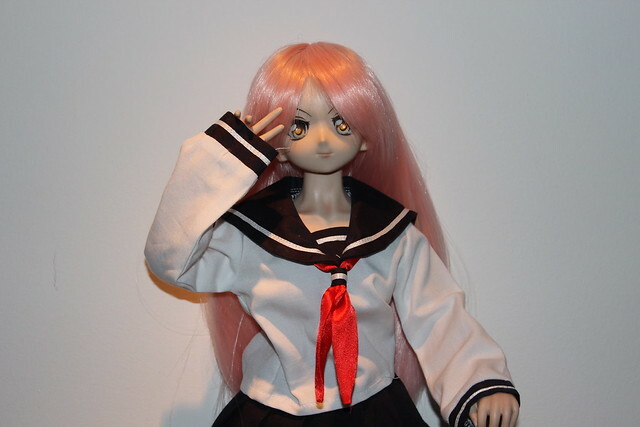 She will be going to “the spa” to get a new face-up. Next time we see her she will look very different! I love the theme! 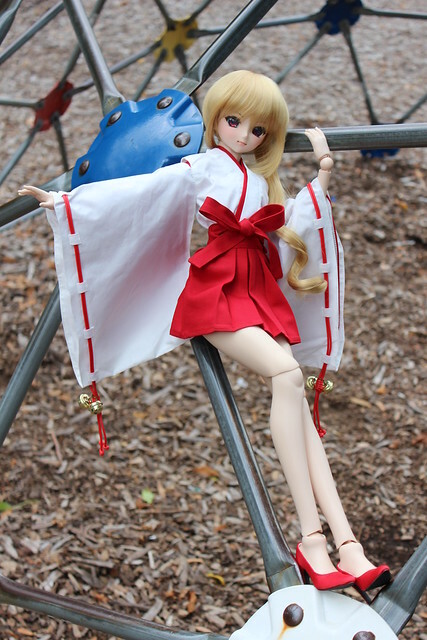 The photos came out beautifully, especially with the playground background. Such a lovely bunch of girls(and one boy!) 😉 I miss meetups >< I hope you have something nice planned for the Halloween meet! !